Robert J. Warnat, 83, of Plainville, husband of the late Marilyn (Schurman) Warnat, passed away Saturday, April 13, 2019, at Jerome Home after a brave and courageous battle with lung cancer. Born in New Britain, son of the late John Warnat Jr. and Emily (Krupp) Warnat, he graduated from New Britain High School in 1953. Bob served five years in the U.S. Army Reserve. 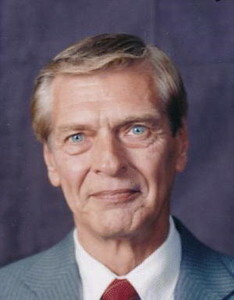 He graduated from Hartford Institute of Accounting in 1964. Bob was married to Marilyn for 56 years until her passing in 2014. Bob was employed at O.Z. /Gedney Company in Terryville for twenty years, retiring in 1993. He was a member of the Church of St. Patrick in Farmington; served two terms as a Plainville Town Council member and was a member of the Plainville Park & Recreation. He enjoyed vacationing with Marilyn in Las Vegas and attended President Clinton’s first inauguration. He served many years as treasurer on the NBHS class of 1953 Reunion Committee. He was a fan of UConn women’s basketball, the Red Sox and the New England Patriots. Surviving are four daughters, Deborah Dombroski and her husband Roland of Bristol, Cheryl Baehr and her husband James of Bristol, Laura Boland and her husband Tom of Plainville, and Lynne Warnat of Plainville; a brother, Thomas Warnat and his wife Irene of Plainville; a sister, Nancy Ahlquist of Milldale; seven grandchildren, Ashley Dombroski of Bristol, Rachel Desaulniers and her husband Nick of Mountainview, Calif., James Baehr of Bristol, Danielle Baehr Brown and her husband Dan of Terryville, Christopher Boland and his wife Caitlin of Southington, Amanda Boland of Plainville, and Stephen Boland of Southington; two great-granddaughters, Olivia Baehr and Camryn Boland; and several nieces and nephews. Besides his wife, Bob was predeceased by triplet grandchildren, Robert, Nicole and Edward Dombroski. Funeral services are Wednesday at 9 a.m. at Carlson Funeral Home, 45 Franklin Square, New Britain, followed by a Mass of Christian Burial at 10 a.m. at the Church of St. Patrick, 110 Main St., Farmington, CT 06032. Burial will follow in St. Joseph Cemetery, Plainville. Calling hours are Tuesday evening 5 to 8 p.m. at Carlson Funeral Home. Memorial donations may be made to the Petit Family Foundation, 32 Whiting St., Plainville, CT 06062. Please share a memory or note of sympathy at www.carlsonfuneralhome.com .